The 6 Sided represents Christ Consciousness; bringing forth love and compassion through divine guidance and union. Assists in helping, healing, nourishing the self and others; the archetype of the benevolent parent and guide. 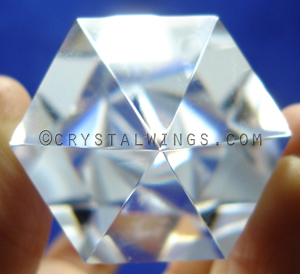 Optically clear quartz is rare. To find material that is natural (grown in nature) that has no inclusions, veils, minerals, or other internal elements is extremely difficult. Bill travels around the world to sift through thousands of pounds of quartz to find specimen that meet this criteria. Although the Vogel lineage does not put any more value on totally clear crystal than it does on other configurations, some traditions prefer this material. Many in the shamen tradition use these crystals for 'extraction' work. 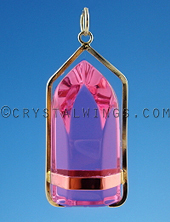 This is healing work that uses a crystal to extract negative energies and entities from the client. 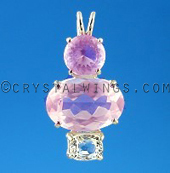 In this tradition it is preferred to use optically clear quartz. 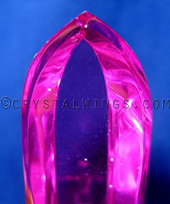 Want to Know More About Authentic Vogel Crystals? 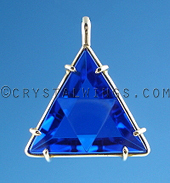 What Are Authentic Vogel Crystals? How Do I Know It's a Real Vogel?